I got my nails done (acrylics and the whole nine) a few weeks ago, and after a few weeks got very indecisive about whether or not to get a fill and do some crazy nail art, or wait until they had grown out enough to take off without completely destroying my nails. So I punted (to use the ole football lingo), filed them flat as best I could and then went to Ricky's and picked up polishes that I though would look good together – and I'm totally thrilled with how they came out. 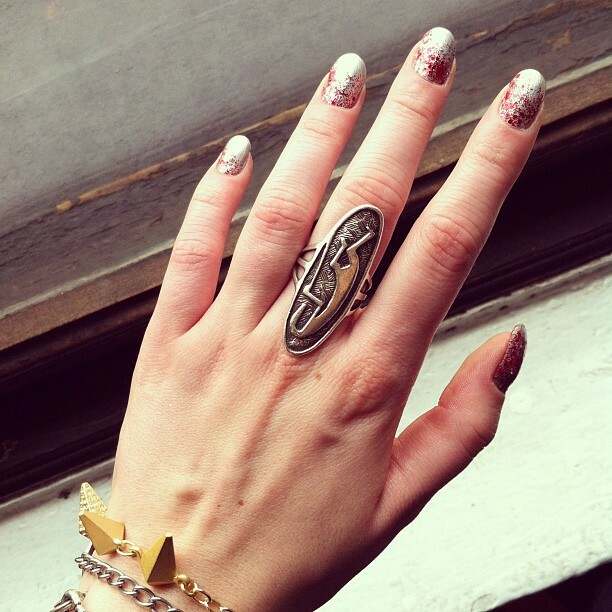 Thus, I have put together a post in the style of Elizabeth Monson, the undisputed queen of runway-inspired nail art (which she shares on her beautiful and inspiring blog, Move Slightly). 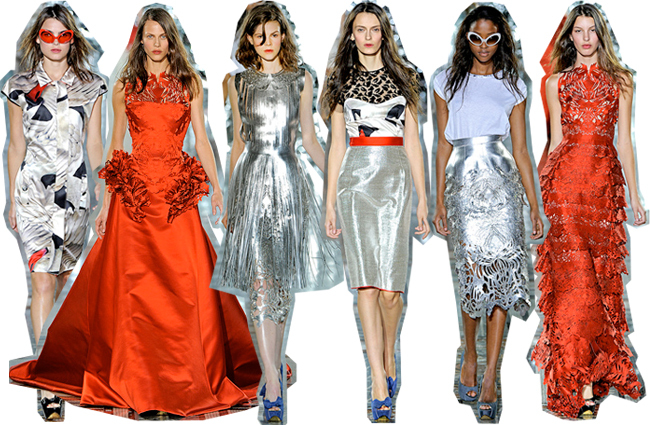 Miu Miu, Christopher Kane, Versus, she's done them all flawlessly – so check them out! 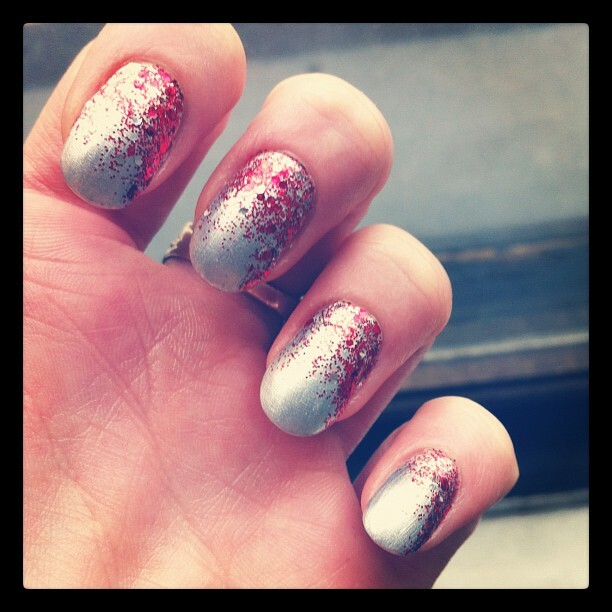 My own fluke attempt at nail art reminded me instantly of the Giles Spring 2012 collection, full of shiny silvers and reds, lacy filigree, and glamour. Thanks Elizabeth for being such a badass and inspiring this post! AHHHH i love! teach me your ways, sensei! Verrrrrrry nice! I'm loving everyone's nail posts. Keep them coming.